POI has worked extensively with Canada’s leading hospitals, clinics, acute care, long-term care, assisted living facilities, and healthcare environments in the development of comprehensive solutions that are not limited to administrative offices. 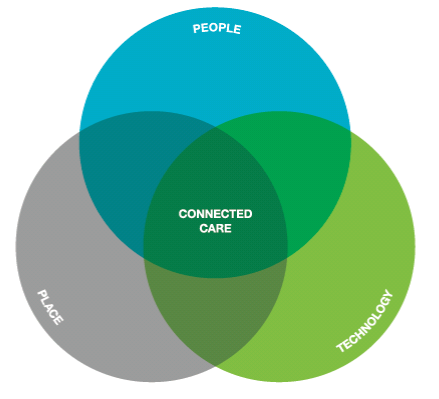 ENGAGING PATIENTS IN HEALTH HAS BECOME A NEW CLINICAL PARADIGM. Healthcare is personal and stressful. We understand the importance of feeling welcome, comfortable and confident the moment one enters any healthcare setting. This delicate balance is created through the integration of durable, virtually indestructible yet sophisticated furnishings and wall systems. To See The Everyday In New Ways. We are on a mission to understand how caregivers perform their duties, how patients receive their care, and what partners in care facilities want and need. As we work with our customers, our goal is to improve the long-term healthcare experience for everyone. The unique requirements of healthcare environments include nurse stations, triage stations, patient testing, in-patient rooms, dining spaces, waiting rooms and lab areas. POI’s expanding presence within the healthcare sector is focused on workplace effectiveness and efficiency for the caregivers—never compromising the patients’ comfort, care and dignity. POI has worked on projects with leading caregivers, architects, designers, administrators, clients and clients’ customers who strive to make environments work better—We find solutions that work to improve the delivery of care. This conversation includes research insights and ideas about the opportunities that we see in healthcare today. The macro trends facing industry today. The challenges that healthcare organizations face because of this. The impact this is having on all of the people involved in the world of healthcare. The strategic role that healthcare places and spaces can play. Ideas and examples that explore spatial concepts that can help solve your challenges and create new care experiences for patients and their families. Folio casegoods progressive, modular storage designed around the changing needs of healthcare places. The empath recliner is designed to reduce stress and the potential injury for both patients and clinicians while increasing physical and emotional connectedness. Designed to support clinicians in action. 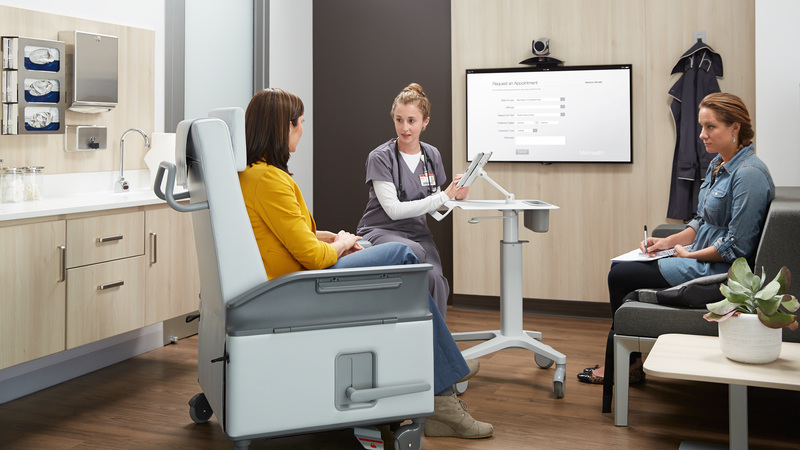 Sync workstations facilitate collaboration between colleagues, connection to patients and access technology and information.